This fair still has all the other traditions: books labeled with RC (Reading Counts) or AR (Accelerated Reader) labels, specific places to find them, even the expensive prices! I’ll show you some interesting examples. Will this book be on my list? : It’s an official yes, because it’s cheap, it seems funny, and I really like these real-life-reflecting kind of books of fame attempt. In other words, it seems legit. Will this book be on my list? : Sadly, it won’t be, because it doesn’t seem like a very good book. Will this book be on my list? : I’m on the fence about it, because I can just get it from the library after the book fair, but then again, it is Thea this book was “written by.” So I’m very skeptical about it. Will this book be on my list? : I’m thinking about it, because I do need to see if Lincoln has finally learned to impress me, but I’m afraid that it’ll be terrible and I just wasted 8 dollars. For now, I’m on the fence. Will this book be on my list? : I’ll have to pass this experience, because after seeing the 2011 special edition, I seriously don’t need to be disgusted 2 years in a row. And besides, since when was I interested in Ripley’s? Will this book be on my list? : No. Why? I’ve never been interested in Star Wars, let alone Star Wars parodies, and after the negative advice one of my super best friends gave me, I’m afraid it won’t be worth the splurge of cash. Will this book be on my list? : Heck yeah! Whenever a new Wimpy Kid makes for the fair in its debut, I’m always riding its cattails for it. Will this book be on my list? : I love the little guy so deeply, but then again, I’m not 6. Fly Guy used to be one of my children’s book hypes, and now that he’s gotten a second mentioning (last time was for his collaboration with Buzz Boy) he better be lucky. Warning: The puns you are about to hear are very insect-related, and unbeelievably bad. You’ve been warned. So that’s some pretty good biz to get hyped up for. Sneak a peek by Moorsbridge Elementary School on November 14-18 from 8 am to 4 pm each day in the Community/Spanish Room across from the gym to get your share of books out of this world! And also check by Sammwak and 2Sam2Mwak (7 hits? Dude, come on) for more epic junk and stuff. This is Sam, sssssssigning out. See, I warned you about those bad insect puns. Everyone’s afraid of something. If you are, try reading The School of Fear #2: Class Is Not Dismissed by Gitty Daneshvari, the second novel in the frightful foursome’s series. Labeled under RC and AR, available at the B1 Adventure section for $5.99. Scary Stories To Tell in the Dark too creepy for you? Try Attack of the Vampire Weenies and Other Warped and Creepy Tales by David Lubar, a continuing installment of his series of warped and creepy tales. Available at the B1 Fantasy section for $5.99 as an exclusive paperback. If you don’t want to stop there, try other installments like The Battle of the Red Hot Pepper Weenies and The Curse of the Campfire Weenies. For some reason, book fairs always include books about rising new celebs, and this year, they’re packed with Willow Smith: Pop’s Newest Princess, and Big Time Rush: Big Time Audition. Both go for $3.99, and they’re both available at the Y2 Easy Readers section. Whoever wants to spend Christmas with the baddest kitty of them all, raise your hand. ****** Well you got your wish, because A Bad Kitty Christmas is one of the included books. If you want to learn the true meaning of Christmas with the world’s most naughty kitty, just pay $15.99 under a hardcover, and scope for it at the Holiday Table. If Big Nate copied off of Wimpy Kid, surely someone can copy off of Big Nate. What’s that? There is someone? Sweet! 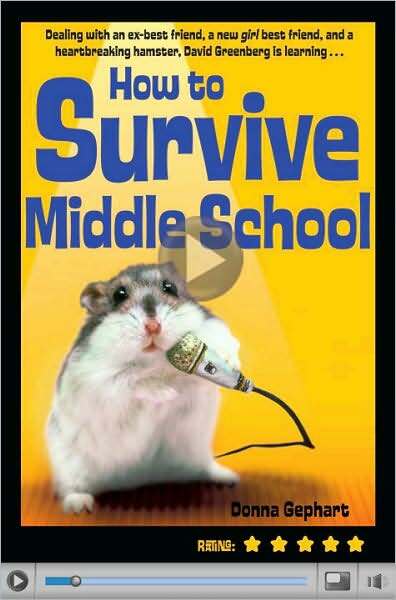 Middle School: The Worst Years of My Life is available for $15.99 (hardcover) at the S1 New Releases section. Guys, cover your ears and open a new tab instantly. If you want to hear about some girly new books coming out, here they are: they include, but aren’t limited to, Monster High: The Ghoul Next Door ($8.99 at the GL Books & Stuff section), Pinkalicious: Pinkie Promise ($3.99 at the Easy Readers section), you know what I mean. Hey guys it’s Sam, and I’ve gotten into a little curveball on blogging schedules. I haven’t exactly been up with schedules to date. Why? Because I’ve been sick. With Bieber fe–no, seriously. I’m not joking. My nose is running like the Niagara, and my throat hurts more than an iron maiden torture device. Okay, maybe I was exaggerating on that, but I’m under legitimate illness. (Take a pause to sneeze) Sorry. p.s. This blog was shown to some of my aunt’s hospital workers, and they don’t believe that this is by just a 10-year old! Fight the power of the writing curriculum, baby! Yep, that’s right! The day I always predicted…and dreaded. Today, tearful teachers have burst open their doors to allow their students to move on. Otherwise known as: the end of school. The end of the 2010-2011 school year. Oh, what a mess of red eyes and tears my school had. But when it comes to this, I’m usually good at keeping my manhood, holding my ground, and being stone-hearted. Did any of you graduate? If so, congratulations of your accomplishment. Because this is just one milestone on the path of an awesome life. I know I’ve marked many milestones in the past. Hitting 1,000 hits. Hitting 5,000 hits. Hitting 10,000 hits. And now…hitting over 20,000 hits. And now, since I feel like starting a brand-new tradition, I’ve decided to add a song of celebration to my posts. Feel free to break free, let loose, and celebrate! Come on, don’t be shy. Have an epic summer, everyone! Ēka mahākāvya hai garmī! Ont été une épopée! Hebben een epische zomer! Haben eine epische Sommer! Hanno un estate epica! Weird School Daze Comes to an END! Yeah, it’s sad. A little too sad. It was one of his most cherished children’s series since its unforgettable debut in 2008. It left everyone ROFLMFAO. I couldn’t think of another book series more funny. The thing is…Dan Gutman’s Weird School Daze series has come to its pit stop. Its final destination. The little bookstore in heaven. It…is…FINISHED. Shed all the tears you want, fans. This has officially been stated by Mr. Gutman, and it has become the next death of Michael Jackson as it is. Where will A.J., Ryan, Michael, Andrea, Emily, among others, go? No one knows. I can forever remember Michael not tying his shoes, Ryan eating stuff that isn’t food, and Andrea being the know-it-all that every stuck-up girl would love to hang out with. But we can’t just say “Whatever, cry a river, build a bridge, get over it” and just WALK AWAY! We gotta reminisce some of the funniest moments to cherish as precious memorabilia. And I have LOTS of memorabilia. Remember in Mrs. Dole Is Out of Control, when the graduation party went out in a blaze of glory, by which I mean fire blazed through it gloriously? Remember in Officer Spence Makes No Sense, when Officer Spence arrested everyone because he couldn’t get a lousy PB&J sandwich? Come on, Mrs. Spence! Just one, even if it kills you? Remember in Miss Laney Is Zany, when she couldn’t remember the science of sound on a game show, but recited her entire commercial afterward? Remember in Miss Mary Is Scary, when Miss Mary had a boyfriend that made a song called “I Love Dirt” that was a hit on YouTube, leading him to perform on Saturday Night Live? And even to sum up with our theme, check out this video where author Dan Gutman yammers at you for six minutes! This really was a great series that even critical feedback presented with positive reaction. But we all got to move on sometimes, right? That’s not entirely true! Dan’s second series may have ended…but his THIRD series is just getting started. That’s right, moping Weird School fans! Welcome to a whole new…Weirder School! That’s right. Dan Gutman’s second series might have been ended, but this summer, his third series is about to become your next summer read! Forget the Summer Reading Program now! 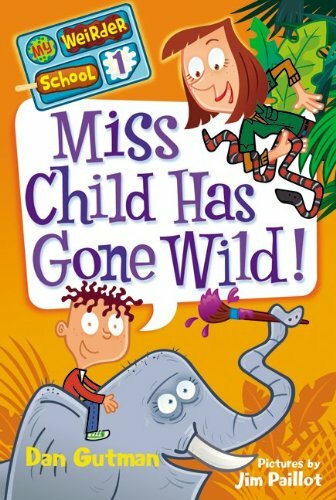 Three titles of this series are already due for release this summer: Miss Child Has Gone Wild, Mr. Harrison is Embarassin’, and Mrs. Lilly Is Silly! Keep an eye peeled for June 21, when schools full of tearful teachers let open their doors for the summer, and Dan Gutman releases his new series of the triumphant trilogy! So keep that in mind. Whenever you’re bored on summer break, go to the bookstore and pick up a new Weirder School book! Keep a book in your heart, readers, especially this summer!!! Well? Huh? You heard of it? Well, if you do, please like this post below. If not, comment me why. And even with some good practice, YOU yourself could learn the dance just like the kids at Ocoee Middle School! Oh, that reminds me! I’m hosting a little event: How many of you viewers can learn the dance? MASTER it? Do it without even bothering to LOOK? If you can, you got yourself 30 Blogger Points. Can you do it? Does a pelican tap dance? But also, I’m wishing all viewers a VERY, VERY, VERY, VERY, VERY (WITH ALL MY HEART) HAPPY SPRING BREAK!!! That is, to any kids who still go to school, yeah. Keep a book in your heart, viewers! Keep a book in your heart! Mr. Granite is actually an alien humanoid residing of the planet Etinarg. Mrs. Jafee gives their students tests underwater. The weirdness didn’t stop; it just evolved into bigger and bigger things. 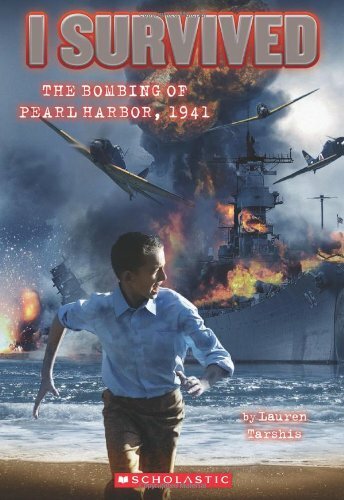 Heck, I wouldn’t be shocked if a film adaptation of this came out in 2013. But then, as 2010 ends and 2011 begins, Dan has decided to cook up ANOTHER new series called My Weirder School. The only known working titles are Miss Child Has Gone Wild!, Mr. Harrison is Embarrassin’!, and Mrs. Lilly is Silly! You can find out about other forthcoming Dan Gutman books at Dan Gutman’s own site. The series, according to the site, is scheduled to be alive from 2011-2013. A.J. is probably still a third grader like the rest of the cast, but look forward for publications of My Weirder School titles in the future! Hey guys it’s Sam, and it’s time to take a little time travel. Go back 3 decades (aka 30 years) and you’re in the 80’s. Marvel at the releases of such films like The Empire Strikes Back. But now isn’t the time for tomfoolery. You must witness the heartbreaking rejection of Linda and a devastated, downhearted Robbie Hart. There was no business like show business, and The Wedding Singer proves it all. Now, I’m not just here to talk turkey over this 90’s classic. I’m here to tell you that my sister Tumpale (tumm-pah-lee)’s school, Portage Northern High, is doing a “musical” of this film, and it’s almost here. We already had an assembly at school for the thing. I’m pretty sure I’m going, because my family’s literally forcing me to go. Tumpale’s role is Tina Turner, some American singer who I haven’t learned bout. Anyways, I think tickets should come out before the play, like on the 9th or something. But the play starts on the 14th and ends the 21st, and takes little breaks in between. So check it out and tell me how it’s like when it’s done! All I know are a few songs and then a few characters: some losers, a bum, a grandmother, a waitress, the wedding singer, and Tina Turner. The songs I know are “It’s Your Wedding Day”, “Someday”, “Move that Thing” (my fave), and “I Want To Grow Old With You” or something like that. I like “Move that Thing” because it’s some sort of brassy Broadway jazz rap. I should’ve mentioned I liked rap music in my previous post. And jazz…thumbs to the side. Tell your parents. Tell your friends. Tell your neighbors. Tell your teachers. Tell your pets. Tell your lamps. Tell your pillows. And most importantly…tell it to your grandmother. The Wedding Singer is back in 2010.